"The will is everything. If you make yourself more than just a man, if you devote yourself to an ideal, you become something else entirely... a legend. 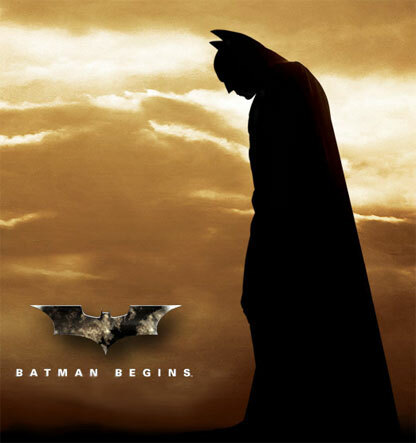 Are you ready to begin?" conforming to an ultimate standard of perfection or excellence; embodying an ideal; the idea of something that is perfect; something that one hopes to attain; constituting or existing only in the form of an idea or mental image or conception; model of excellence or perfection of a kind; one having no equal. Since the end of last semester, I've been on a search for the roots of my own trajectory. Trips to Milwaukee, Chicago and New York have helped. SCI-Arc is all about Making + Meaning; in two words, that is the essence of our school (not necessarily in that order). A few of the things that have inspired me at bookstores, internet browsing, and talking to peers and mentors are: The American Arts & Crafts Movement as a beginning point for Modernism, Sullivan and Frank Lloyd Wright's views on ornamentation and organic architecture, Thinking INSIDE the Box: Supermodernism, and of course, FLOW: Water-based Biomimicry and Particle Dynamics. Charles Jencks' trajectory diagrams are helpful in tracing the roots of some of these, but the most important thing has been digging into books. I just ordered DeLanda's "Thousand Years of Non-Linear History", Deleuze's "The Fold: Leibniz and the Baroque", Dollens' "Digital-Botanic Architecture", and Engel's "Measure and Construction of the Japanese House". The first thing I must do after graduation next year is build bigger bookcases for my library. Now that I work at Panelite (www.panelite.us), my shop skills have increased ten-fold. God, I miss school! Can't wait to build stuff for studio / seminars. 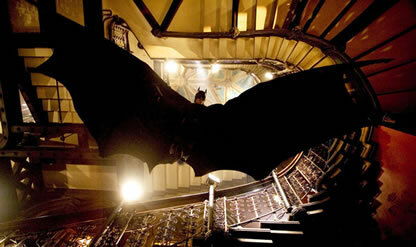 Long live cinematic affect... Batman Begins. Yeah that looks very interesting, and potentially useful, good stuff. Oh and Batman Rocked, it's funny how the images you show so remind me of the original Batman movie stills, same colours/tome/ambience etc. I have been trying to deconstruct and understand those books,and others in that canon, for quite some time. I'd be curious to know what spurred you to pick up those books and why. I am, or will be this fall, also a SCI-Arc student and I am excited to hear of folks finding similar inspirations.